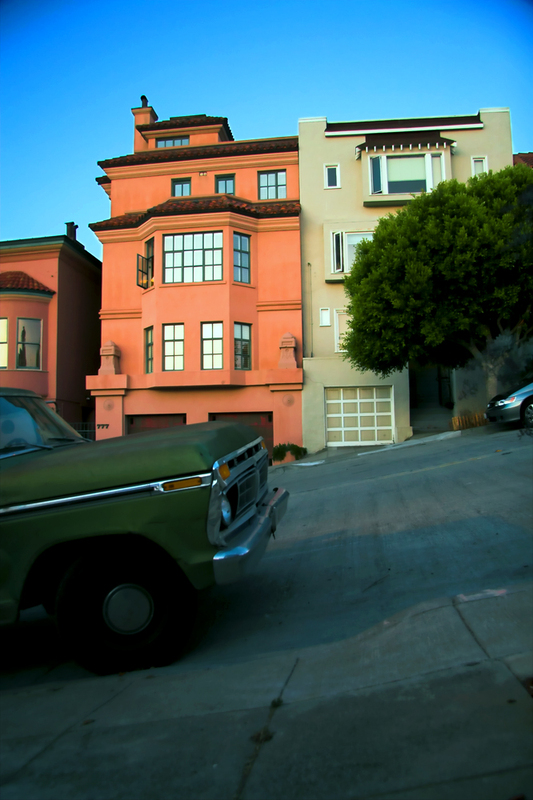 While climbing one of the incredibly steep hills in San Francisco I saw this old car parked on the side of the road, it’s a miracle that cars don’t just roll down those hills. Wow. This is really cool the contrast in these creamy colors is very delicious.